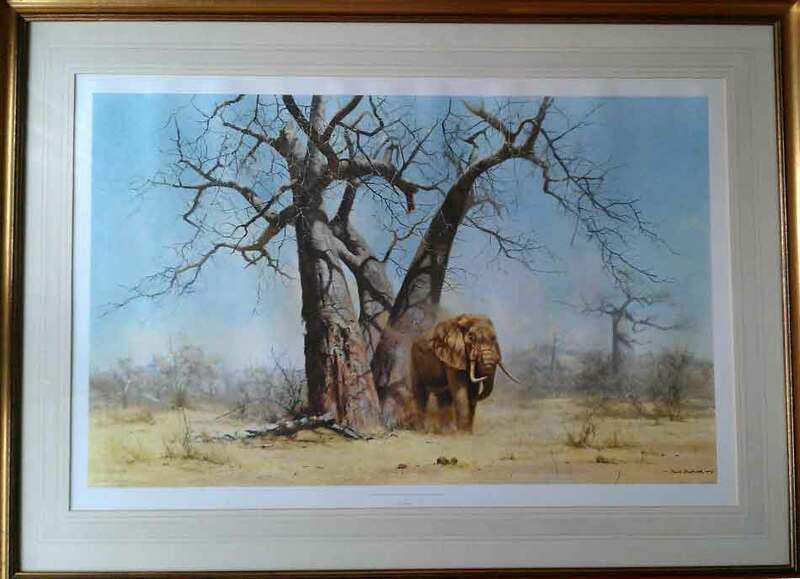 This was the fourth painting by David Shepherd to be published as a signed limited edition. The printing process at that time was not as developed as it is today, and light fast inks together with acid free paper had not been widely used in the industry. As a consequence the vast majority of this edition has been lost; damaged beyond all repair by the UV in the light.. It is extremely rare to find this title in mint condition, and this particular picture was owned and kept in first class condition by the publishers themselves. 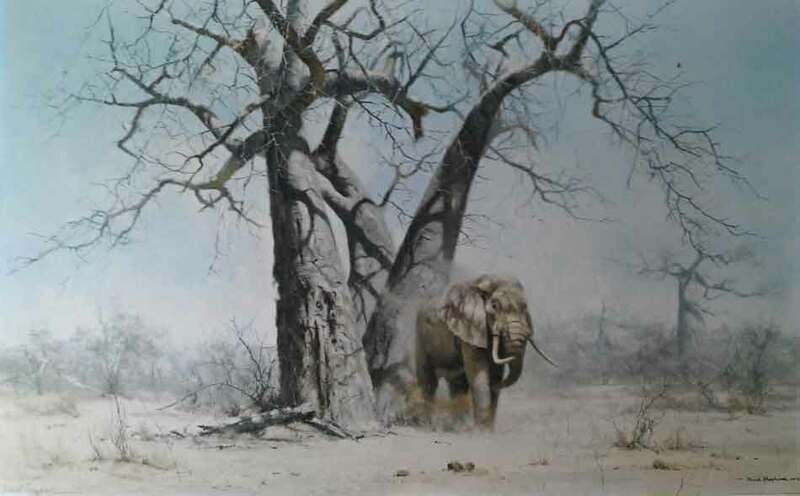 Image Size 33" x 20.75"
This title as a signed edition is extremely rare and a 'one-off' opportunity for a collector to find this image at this price.